B'nai Shalom Congregation of Halton Peel: We regret to announce that B'nai Shalom of Halton Peel has closed. We regret to announce that B'nai Shalom of Halton Peel has closed. Thank you to all who attended in the past for your support. 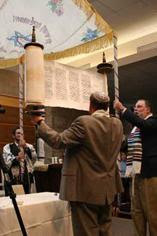 Copyright - B'nai Shalom Congregation 2013. Simple theme. Powered by Blogger.